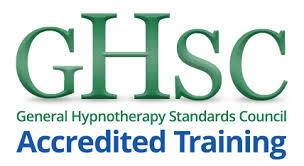 Stop smoking with hypnotherapy & hypnosis. Imagine how much better your life will be as a non-smoker? Most people who stop smoking using hypnosis and hypnotherapy are amazed at just how easy it is to become a non-smoker and never smoke again. In just One Session of hypnotherapy stop smoking Specialist Rob Clarke will make it easy for you to quit smoking for good! His unique Smoking Cessation session has helped 100’s of people in Bournemouth, Poole, Wimborne, Dorset to stop smoking and remain non-smokers for good. Rob will help you see how you can be a non-smoker and stay a non-smoker for good! My stop smoking sessions are only ever conducted with individuals and not with groups of people because different people have different reasons for wanting to stop smoking. This way it allows us to deal with the issues that are affecting the individual and so tailor the session to their needs. The session is started by finding out all about you and your habit of smoking. For example how many cigarettes you smoke, when you smoke, where you have the first cigarette of the day etc. We then work through all the different reasons you have to smoke finding out all the triggers about your habit. During your session you will discover that you can easily stop smoking without nicorette, nicotine patches or Zyban. Understand how you can stop smoking permanently with no withdrawal symptoms and your smoking habit will be a thing of the past. 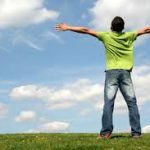 Understanding how you be a non-smoker and stay a non-smoker for good! 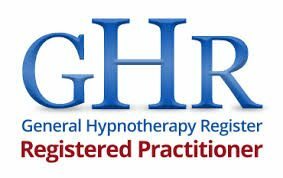 All that require from my clients is a desire to stop smoking, then using hypnosis and hypnotherapy we help to change their habit of smoking into something that they used to do….a habit of the past. Statistics prove that hypnosis is the best and most effective way to help people to quit smoking and cigarettes. The benefits of stopping smoking. The benefits of quitting smoking are felt immediately after your life changing session with me. Following your session you will enjoy the benefits of being smoke free for good. You will enjoy the fantastic feelings of pride and pleasure that being a non-smoker brings. So stop smoking today and get that immediate reward that you want and desire in one session of Smokestop hypnotherapy. Call me today on 01202-245020 or 07920 885015 and be part of the stopping smoking success story!